20 months after the Justin Trudeau government formally pledged that Canada would re-engage in UN peacekeeping with up to 600 soldiers, 150 police and the provision of specialized equipment, an actual commitment to an actual mission was finally announced. But the facts tell a somewhat different story. 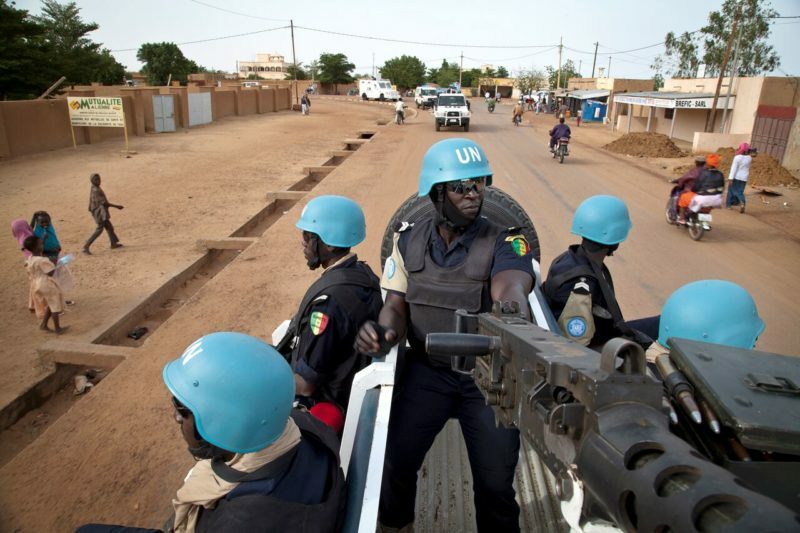 Under the heading “Supporting political process and helping stabilize Mali”, the MINUSMA Fact Sheet states that the United Nations Multidimensional Integrated Stabilization Mission in Mali (MINUSMA) was established by Security Council resolution 2100 of 25 April 2013 to support political processes in that country and carry out a number of security-related tasks. By unanimously adopting resolution 2164 of 25 June 2014, the Council further decided that the Mission should focus on duties such as ensuring security, stabilization and protection of civilians; supporting national political dialogue and reconciliation; and assisting the re-establishment of State authority, the rebuilding of the security sector, and the promotion and protection of human rights in that country. To carry out these tasks, the mission, headed by a civilian Special Representative of the Secretary-General (SRSG), has over 15,000 personnel, including 12,000 military, almost 2000 police, and about 1300 civilians. Distinguished former Canadian diplomat Robert Fowler had this to say about the mandate in his Globe and Mail article The Importance of Canada’s Mission to Mali (special to the Globe and Mail, 29 March 2018). This UN mission isn’t about regime change or other myths and pipe dreams that have led us astray in the past. ….the main thrust of the MINUSMA mandate is to encourage the implementation of a treaty between the ever fractious and belligerent Touaregs and the weak and impoverished national government of Mali. But what about the level of risk to Canadian peacekeepers, heading to a mission that has seen the highest number of fatalities — 162 in four years — of any UN peace support operation? Only 9 of those fatalities have been suffered by peacekeepers from Western countries and all but two of the deaths were the result of accidents, not attacks. So the risks would appear eminently manageable for well-trained, well-equipped Canadian soldiers. Peace support operations are by definition dangerous, they take place where political accord and governance are severely compromised. That doesn’t mean quagmire, it means it takes a long, long time to transition from armed conflict to political stability and the rule of law. And it is certainly in Canada’s interests to support the international community in its responsibility to support such transitions — for the sake of the people affected, to be sure, but also for the sake of building a more stable international order from which we all benefit. To a significant extent, we helped break it, and we have an obligation to help fix it. Slow to understand the law of unintended consequences, we in the West, through our ill-considered intervention in Libya in 2011, caused the massive armament of the jihadis, and particularly Al Qaeda in the Islamic Maghreb (AQIM). This gave them the wherewithal to occupy the Northern two-thirds of Mali just over a year later, and pose a continuing threat to the entire Sahel region. The “value added” of UN peacekeeping — and why it offers the best chance for countries emerging from conflict to build a sustainable peace — is that the heart of the effort is an inclusive peace process, which seeks to effectively address the political issues underpinning and exacerbating the armed violence. But the Mali peace accord is incomplete and its implementation has been agonizingly slow. Yet, almost every facet of this crucial peacebuilding effort is underfunded. There is an urgent need for Canada to contribute to the non-military elements of the UN mandate in Mali, and not just in terms of development assistance but also in the provision of crucial financial and political support to the peace implementation process. Experts also argue that a one-year commitment is far too short for Canada to make an effective contribution to such a complex mission. We should follow the lead of Germany and the Netherlands and commit to a three-year effort. For the full article by Robert Fowler, click: The Importance of Canada’s Mission to Mali (special to the Globe and Mail, 29 March 2018). For the full letter by Ernie Regehr, click: Canada’s Interests in Mali (Globe and Mail Letters, 28 March 2018). See also: Baloney Meter: Tories dish out “a lot of baloney’ on Mali peacekeeping mission (Lee Berthiaume, Canadian Press, 22 March 2018). And see: Sajjan brushes off suggestion Mali mission is too short (Janice Dickson, iPolitics, 20 March 2018).